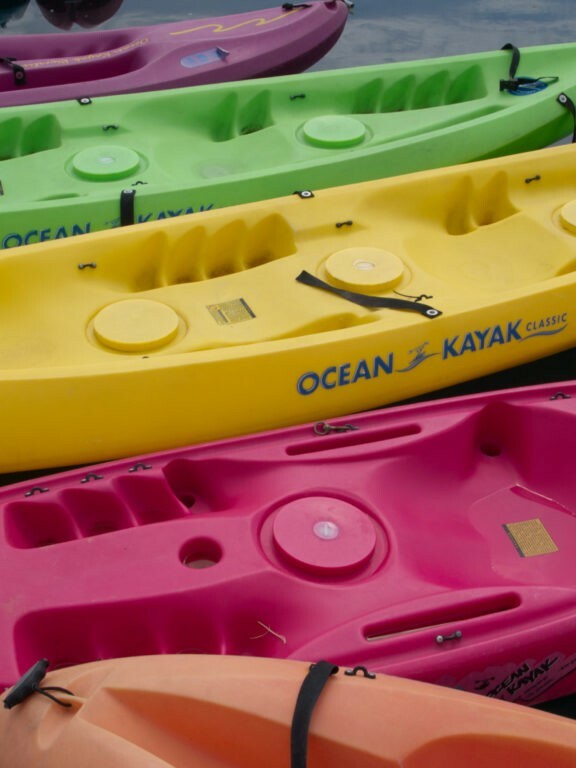 Go on a kayak adventure, without the waves. 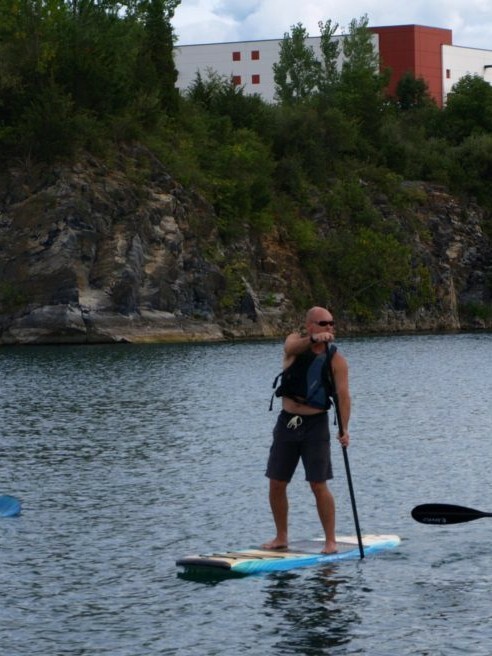 Get a total body workout with our new paddle boards. 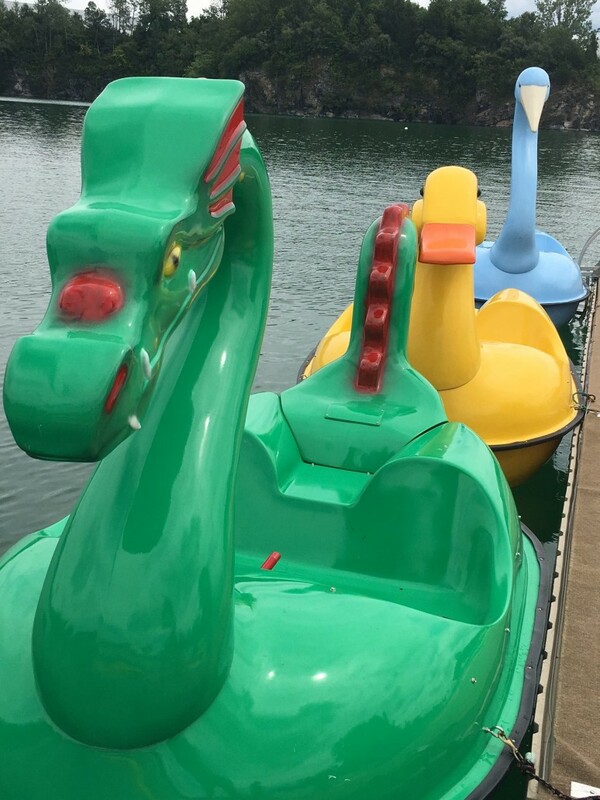 Take a duck, heron, flamingo, swan, or even a dragon for a ride! Rental time must finish at 5:00 pm. Drivers license deposit is required for all rentals. Rental of watercraft includes life vest. Removal of life vests from rental area requires divers license as security. Rental rates include amusement tax and sales tax. Life vests must be worn at all times. Watercraft can not be used east of the white markers. East is to the left as viewed from the watercraft dock. Stay at least 15 ft away from Scuba divers' bubbles. Do not get out of the watercraft to climb on the cliffs or to get off on land, except at the rental dock. You may be called into the dock because of undesirable weather conditions. Complimentary time will be given unless at the end of the day. Rental time must finish at 5:00 pm. Watercraft should not be intentionally run into each other. No standing in watercraft or jumping from one craft to another. We only accept cash, MasterCard, and Visa for rentals. Everyone entering Dutch Springs must fill out a waiver. Management reserves the right to terminate any rental without a refund for violating any rules or for participating in any unsafe acts.